You’ve passed your tests and got your motorbike licence, but how do you choose which motorcycle to go for? 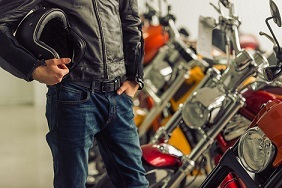 Here’s a rundown of the difference motorcycle types, available insurance options, and how to ensure you find the right model. 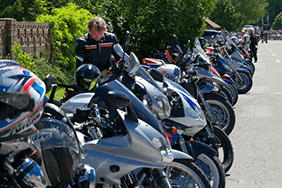 If you’re looking to purchase a motorbike and you’re confused as to which sort to go for, here’s a quick guide to the different classes of motorbike available on the market. The first thing to do before buying a bike is to know exactly what it'll be used for. So buying a 2000cc Kawasaki Vulcan when all you need is a little 50cc scooter to nip through city traffic might not be the best idea. Once you know what the bike will be used for, you can narrow your options, and choosing becomes much easier. If you fancy yourself as the next Valentino Rossi and you’re dead set on a sports bike, be aware that your insurance premium could be higher. Insurance companies are less likely to cover a novice rider for powerful bikes, until you have proven experience on smaller, less-powerful bikes first. It’s recommended you buy a bike that you’re capable of operating safely. 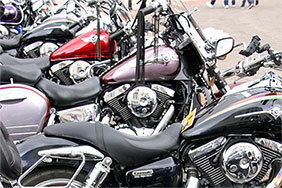 Motorcycles can cost anything from a few hundred to tens of thousands of pounds. If you’re on a budget, aim for a smaller, less powerful bike. These tend to be cheaper to run, cost less to tax, and have lower bike insurance premiums. Fixing a budget also helps protect your bank balance when looking around a showroom. It’s easy for an experienced salesman to upsell expensive models to amateur bikers. New riders tend to pay higher premiums from the outset, which gradually reduce with experience, assuming no claims are made. One tip that may help keep a lid on the cost of motorcycle cover is to keep the bike garaged, or at least locked up off road overnight. 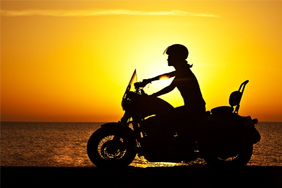 More information on motorbike insurance can be found in our beginner’s guide. 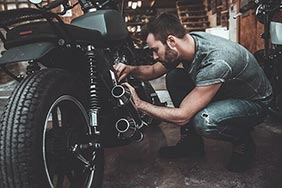 Now you've read about what you should consider before looking at motorbikes, take a look below at the different kinds of bike you may find on the roads. Usually used off-road and in competitions, quad bikes are a unique breed. Whether it’s used for agriculture, modified for your own purpose or for sports and leisure, it can be covered under quad bike insurance. Given how different quad bikes are to regular motorcycles, there are a number of other factors to bear in mind. You can get more information at GOV.UK. A trike is a larger motorbike that runs on three wheels instead of two. For many, motorised tricycles can be used to aid disabled riders. Many trikes are built with components found in cars, and cars on three wheels also use parts found in motorcycles, so it can become confusing when it comes to insuring your vehicle. In general, if your vehicle has an open chassis with handlebars then it will be considered a trike; those without would need to consider a kit car policy. While it’s less likely to see a trike on the roads, they’re popular with riders who are after something different. Unlike manual motorbikes that require a shift gear change trikes can be run with automatic transmission. 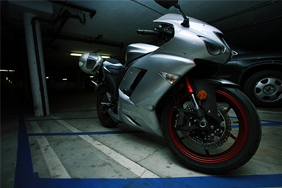 Sports bikes have fast and powerful engines, sharp styling and handling, and aerodynamic fairings. Dominated by Japanese giants Honda, Suzuki, Kawasaki and Yamaha, other makes include Ducati (Italy) and Triumph (good old Blighty). As sports bikes are built for speed and have blistering acceleration, novice riders should be extremely careful if opting for one of these as your first ride. As you might expect, bike insurance in this class is generally more expensive than in other classes. Synonymous with the swinging 60s, scooters exploded back into popularity in the mid-90s. The reason for the boom was the increased frustration at urban gridlock, cheap running costs, and the advent of desirable new models from the Japanese firms and Italian maker, Piaggio. 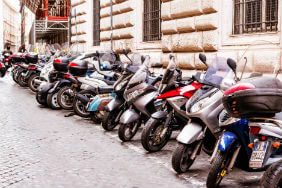 Scooters tend to have smaller, less powerful engines (though bigger engines are becoming more and more popular), and are more affordable than bigger bikes. Also, scooter insurance is often considerably cheaper than sports bike insurance. Mopeds are small-engine bikes (max 50cc) that also use pedal power to drive the chain. As mopeds have such low power, motorcycle cover could be very cheap. The term "naked" refers to road bikes without a fairing to obscure the engine and frame, and little or no fairing over the handlebars. However, not all bikes without fairings are naked bikes. Exceptions include custom bikes, off-roaders and adventure sport bikes. Naked bikes are often un-faired sports bikes or modern bikes with a retro 70s styling. 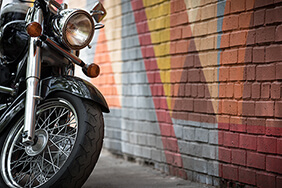 For all you wannabe Easy Riders, cruisers are most easily described by one evocative and legendary brand, Harley Davidson. Typically, cruisers have low seats, long wheel bases, loads of chrome and, most importantly, a laid-back attitude. Harley’s aren’t the only name in town though, with Japanese bikes able to provide that custom look for a lot less cash but also less heritage. Other cruiser makers include Italian firm Moto Guzzi and BMW. Some cruisers, such as the massive Kawasaki VN2000, have larger engines than some mid-size cars and are definitely not recommended for bikers who’ve just removed their stabilisers. Used by bikers who want to ride both on and off road - think Ewan McGregor and Charley Boorman in the travel programme "Long Way Round" - these endurance machines often have larger luggage compartments and petrol tanks for long distance trekking. A tall profile and upright riding position means good visibility over the car in front and also makes the rider highly visible to other cars. King of this class is the huge BMW RG1200, a veritable Hummer of the motorcycle world, while Suzuki’s V-Strom 1000 (pictured above) is one of the more affordable big adventure bikes. If you’re going to be travelling long distances, these mile munchers could be for you. Built for on-road comfort and continent-cruising ability, many tourers have large windscreens, generous luggage capacity, plush seats, driver/passenger intercom, and heated handlebar grips. Before you consider a second-hand bike, ensure you check the bike's service history to make sure it has been properly maintained. Check if it has a valid MOT certificate. If you don't know much about bikes yourself, take along a friend who does. If the bike doesn't look safe to you, walk away. Check the seller's ID against the name on the registration document, in case it's stolen. Check the bike's history. Our vehicle history checker can tell you if a vehicle has been previously written off, damaged, stolen, or if there's any outstanding finance. Whether you’re brand new to two wheels, a born-again biker, or you’ve been riding for years, please travel carefully, always stay safe and make sure you have the right level of insurance.